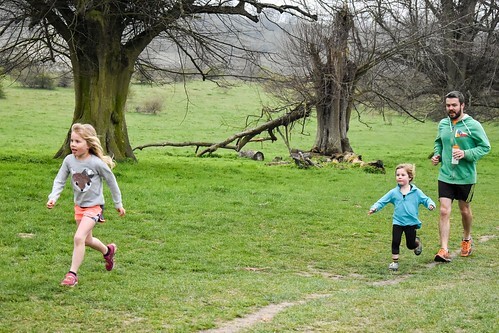 Tring parkrun 242 – Wot No Cows?! 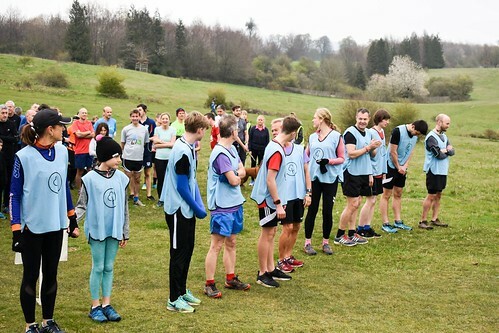 The 242nd Tring Parkrun saw a return to the summer course, although the Run Director clearly forgot to arrange the summer weather to go with the summer course. But the only strange thing was - no cows? Perhaps they've gone away for the Easter holidays!? Tring Park welcomed a few intrepid tourists too, from as far afield as (get this) Norway!!! While we Brits thought is was a bit on the chilly side, the tourists were sweltering in mid summer temperatures! The crowd heading into the valley at the start line - a very welcome return to the Summer Course. Thank you to all the lovely volunteers as, without them, none of us could do this amazing event. In particular, thank you to Jim for volunteering at Marshall gate 3 with his great, inspiring tunes, as ever! Also, huge thanks to Wes Ball for being this week's brilliant run director. Some of the fantastic Tring parkrun family. Vicky Lea, helping out with scanning this week, in the first photo. 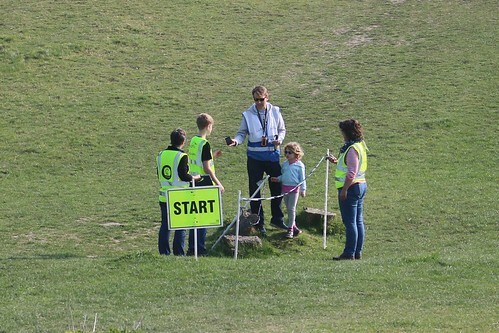 And the full finish line team on the right, including 5 year old Rosa - you're never too young to be part of the gang. Well done to Andrew Wood, Andrew Clarke and Adam Johnson, for earning their 50 t-shirts (not to mention the delicious cakes and goodies for afterwards!). Also, earning their junior 10 t-shirts were Woody Dales and Jacob Lea. As well, well done to Eddie Sartin for 3 PBs in 3 weeks, to Anna Hanson, Emma Smith, Mark Thompson and Andrew Clarke for 2 PBs in 2 weeks. Congratulations to Andrew Clarke for squeezing in 2 (oh well, now three) mentions in the same run report! In addition, 5 PBs in the last 5 weeks for Tom Curtis, 4 in 4 for Pip Thomas, and 3 in 3 for Mike Harold, Clare Murphy, and Bruno Smith. 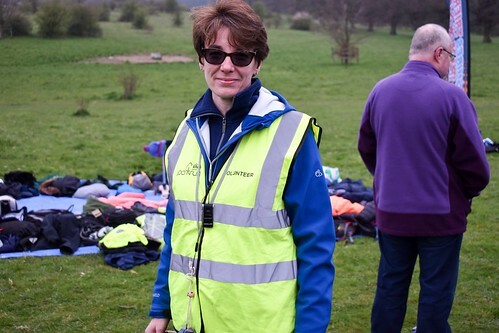 Clare Thomas's amazing 27:33 was the 3000th time a barcoded runner has run a 27 minute run. This minute is our most popular one and the only minute to have 3000+ finishes. This is the 400th time we have seen a Steve, 200th time for a Samantha and the 50th time for an Ollie. Well done to all those Steves, Samanthas and Ollies out there! 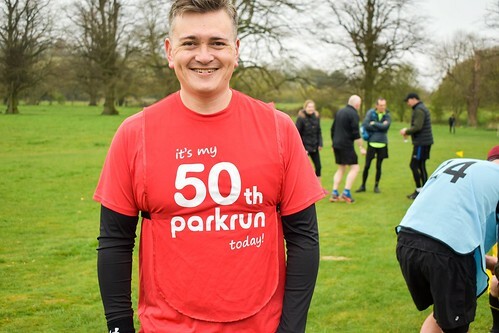 Welcome to Parkrun for Matt Ingram and well done on your first Parkrun in your amazing (and hopefully long) Parkrun journey. 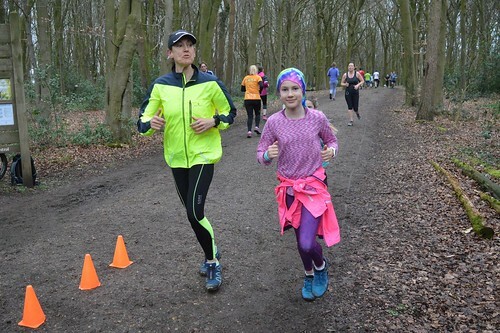 Young Annie completed her first parkrun, alongside her sister and Dad. Holly and her Mum, Elaine, at the turnaround on the winter course last week. This entry was posted in Run Reports by tringoffice. Bookmark the permalink. 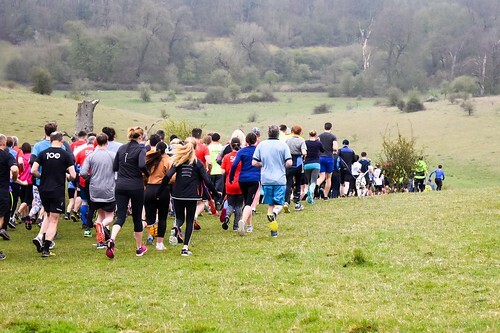 Tring Park parkrun #240 a PB and cake day! 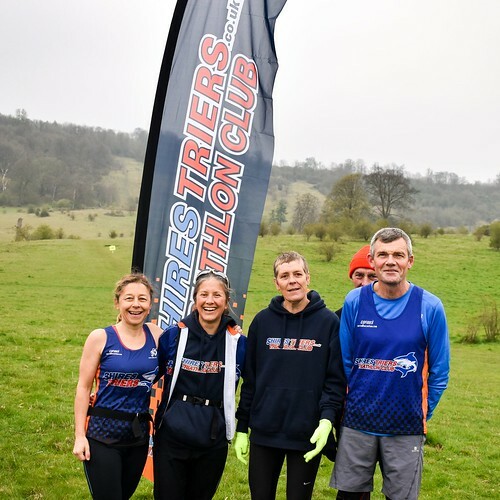 Tring Park parkrun #239 – Windy!